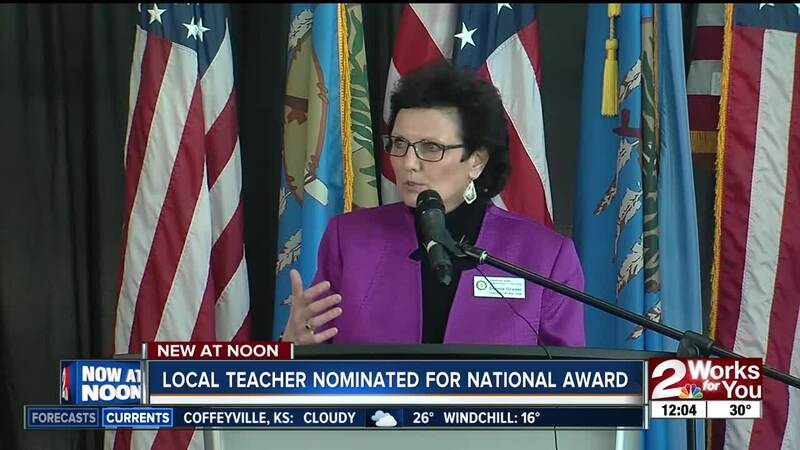 BROKEN ARROW — Broken Arrow teacher Donna Gradel was named one of four finalists for 2019 National Teacher of the Year. The announcement came after Gradel, the 2018 Oklahoma Teacher of the Year, gave newly-elected Governor Kevin Stitt and State Superintendent Joy Hofmeister a tour of the high school, including the floating wetland and the site for the future outdoor classroom. "It's been an incredible honor to watch Ms. Gradel dedicate her life to educating Oklahoma students," Superintendent Dr. Janet Dunlop said. "Her passion, wit and intelligence inspire students to believe in themselves and know they are capable of changing the world. There is no better person to represent public education." Gradel has taught for Broken Arrow Public Schools for 22 years. She is an environmental science teacher in Broken Arrow. Her classes focus on solving real world problems and her accomplishments are impressive. Under Gradel’s leadership, students designed a way for orphans in Kenya to produce fish food for one-twelfth of the current cost. "As teachers, we have the keys to recognize and unlock the potential of our students and propel them to success," Gradel said. "In too many cass, we may be the only positive voice in their world of negative self-talk. We must be their champion." The National Teacher of the Year will be announced sometime this spring.